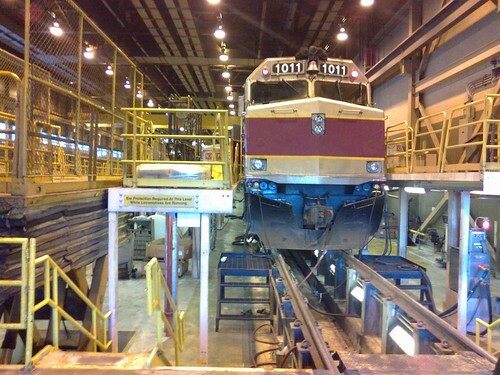 MBTA organized a tour yesterday, of their locomotive repair shop in Somerville. Matthew in Boston’s flickr photostream below and NoLuckBoston’s photostream captures their facilities from every angle. The new official video about Miniatur Wunderland Hamburg, the world’s largest model railway set now shows the completed airport module that they have been working on. 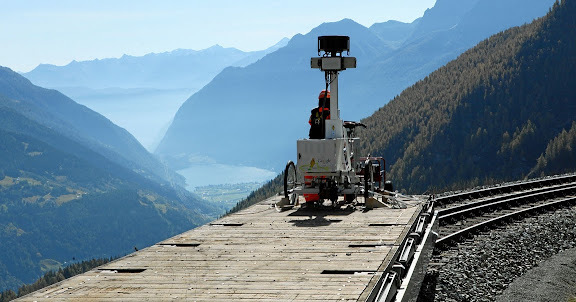 Google’s Street view team together with the Rhaetian Railway has collected images from one of the world’s most scenic railway routes—the Albula-Bernina line in Switzerland—that will soon be live on Google Maps. The rest of the world moves on with railroad projects and high-speed trains while here, we sit and bicker. Kind-a like the tortoise and the hare story. Note: If the above embed video does not work, try the direct link to the article. April 13, 2011 | Comments Off on Happy 30th TGV! TGV is celebrating its 30th anniversary. The Year-by-Year timeline cover the entire history of the TGV milestones. As a part of the celebrations, one of the original trains specially refurbished will be touring France for the next two months.